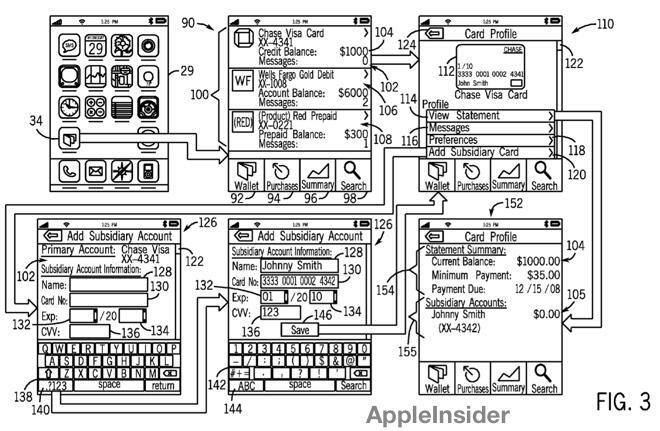 Apple's idea for an "e-wallet" iPhone application would allow subsidiary accounts for children, complete with customizable spending limits and restrictions. Apple's interest in the concept was revealed in a patent application published Thursday by the U.S. Patent and Trademark Office entitled "Parental Controls." It describes ways that a user could establish rules for subsidiary financial accounts. 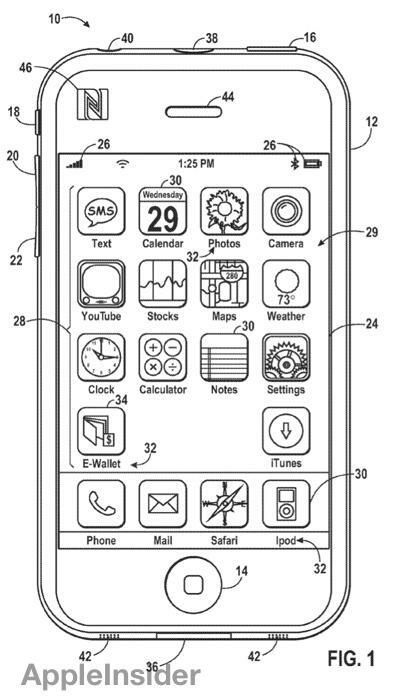 The proposed invention shows a hypothetical application on the iPhone home screen named "E-Wallet." The software allows users to have a primary account tied to a credit card, allowing transactions to be conducted with an iPhone. The key feature of the filing are the E-Wallet subsidiary accounts. By creating one, the user can allow new users, such as children, to have access to the E-Wallet app with controlled spending limits. The customizable rules would allow a parent to set, for example, a weekly or monthly allowance for their children. The application would also enable parents to decline transactions if they are over a certain amount of money. Parents could also restrict transactions from certain merchant categories, or even block sales to a specific merchant or location. In one example, the application is set to prevent the user from purchasing alcohol or tobacco with Apple's iPhone e-wallet. Illustrations included in Apple's patent filing show that the concept for the E-Wallet application would include purchase history, bill summary, and the ability to search for specific transactions. The E-Wallet app would be driven by users' existing credit cards, with numbers entered into the software to link them together. The filing goes on to note that a future iPhone could have an integrated near-field communication chip to supplement the E-Wallet app. It notes that communication using the NFC component would occur in a range of 2 to 4 centimeters. The proposed invention, published by the USPTO this week, is a continuation of a filing first made by Apple in January of 2009, and issued as U.S. Patent No. 8,127,982 in March of 2012. It is credited to Brandon J. Casey, Gary L. Wipfler, and Erik Cressall.